No images of EnergySA Installations. Energy SA is a South Australian owned and operated Solar and Air Conditioning Company. With over a decade of experience in the industry, our mission is to provide South Australians with high quality and innovative systems at competitive prices. "WE PRIDE OURSELVES ON OUR HIGH STANDARD OF INSTALLATIONS AND MATERIALS USED, AND OFFER QUALITY WORKMANSHIP EVERY TIME." 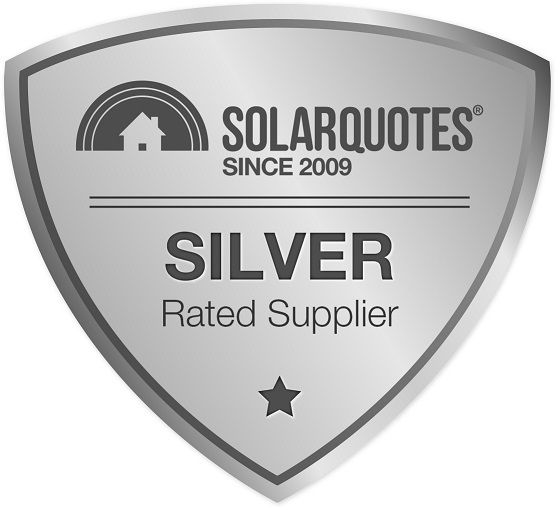 Quality Solar Panels with a 25 year output warranty guaranteed. Would definitely recommend this company, we had very little knowledge of solar power or systems but they made it very easy to choose by going through everything with us. There was no "hard sell" as in another company we received a quote from and we could not fault anyone from sales, office or installation. Also installers were great and did a very good job of cleaning up after! Do the shop around but make sure you compare apples with apples. Make sure you understand the products as this will get you on the same page as the sellers. Energy SA is the way to go. Joe the installer was a good person to deal with although there were some problems from his workers. One of them fell through the laundry ceiling which Joe had repaired. Its very hard to positively decide what is best value. Everybody says their panels and inverter are the best. We have gone with a Zeversolar with a 10 year warranty. According to EnergySA they have had very good experience with the latest model and back it up themselves for 10 years. They say Fronius is a lot more expensive and doesn't have as good a warranty as they offer on the Zevesolar. Others say Zeversolar are cheap and nasty with a 5 year return to Zeversolar for repair and we should buy Fronius. Time will tell. My old Areosharpe 1.5KW still works after 8 years and most died years ago! Most agree Jinko are good value and we are getting 230W Black framed ones which at least seem to be the latest and a good choice. EnergySA were recommended to us through word of mouth. We cannot fault the service provided, from the initial in home quote, installation and interaction with admin staff required throughout. QCell panels with EnPhase microinverters. From first discussion to final installation , Robby kept us informed. Once meter was changed over, Install was arranged in the next week and it just happened. Panels installed on E,N and W facing roof. No mess left after. Great real time app to monitor system. Our experience was fantastic from getting the quote all the way through to the installation process. The whole team was always helpful to answer any questions...very approachable. Of the many who had quoted before them, we chose to proceed with EnergySA, not just because they were fantastically priced, but because they took the time to listen to our needs. They offered sensible and grounded advice, helping to explain the pros and cons of different technologies and recommended the most efficient solution possible. All 3 suppliers made contact promptly and quoted on same product brands which were to the top end and to my request. However they all quoted different panel numbers from 15 to 23 which resulted in a range of prices. We obtained 9 quotes in total. Three from this site. Robby Mack was the only one to actually get on the roof and accurately measure up to ensure the system would fit. His service was second to none. His workmen were friendly efficient and willing to answer any questions. I knew before I obtained any quote what inverter and what panels I wanted. Robby did not try and talk me into inferior equipment at higher prices like a few of the others. I was very impressed with the EnergySA owner/salesperson, Robby, when he came over to discuss what type and size Solar panel system would suit our current and future needs. His knowledge and explanations were excellent and quite easy to understand. System added was GCL-P6/60 panels (20 X 275W = 5.5 Kw) and using Enphase Envoy-S to monitor solar usage,production, export, etc. The quality of service up to, and including, installation was first class. The people installing the system worked all day in trying conditions, but were informative and courteous throughout the day. I actually cancelled the only other quote recommended through your website as I had already received a quote from EnergySA which I had arranged prior to looking at your site. Having them pop up as one of your 2 recommendation finalized my decision to go with them. (I already had 3 quotes which I organised myself previously) Energy SA had the best quality system and Robby was extremely knowledgeable and helpful. Great service from their whole office so far. Out of a total of 6 quotes (2 from this site, one was a "no show"), we selected EnergySA because the manager, Robby, had and unlimited readiness to spend any amount of time discussing and explaining every aspects of the system, the installation, issues we were facing, etc. He, along with each of the tradies that came out, had an obvious seriousness and commitment to meet our needs and install the best system for us. Robby himself requoted our installation at least half a dozen times as our understanding and needs evolved. Unlike one of the quoters from this site, he was ready to listen -- actually listen -- to our needs and design a system specifically for us (one of the quoters from this site continually ignored our requests and kept trying to convince us we wanted some other system that he had obviously pre-designed). We have a less than optimum roof situation and significant partial shading issues. We also had specific objectives to be able to run a large air-conditioner during summer without importing energy, and a few other requirements such as leaving room for the gutters to be cleaned. All of these were attended to and our needs completely satisfied in as much as the situation would allow. The system has been operational for two months, and is working beautifully, in fact is exceeding our expectations. We also had an unfortunate warranty situation with one of the key components of our system. After weeks of stuffing around, the manufacturer declared there was no issue, which was ridiculous. EnergySA at this point took the warranty matter into their own hands. Swapped out the faulty device (an expensive one) and did some additional installation work ... all at their own expense! They say they will continue to chase the warranty situation with the manufacturer, but didn't want us to be dragged through any more. Now there is some serious customer service to you. I dealt with Robby from Energy SA and he made the whole experience easy and pleasant. We had some issue with the energy retailer changing the meter over but Robby gave me all the information I needed and what their issue was to get the issue resolved quickly. Very happy with the system and the service. It hasn't been installed yet, as we are waiting for SA power networks to isolate street power so the fuse box can be relocated (or something). This will take some time. However the communication from energy SA has been good. System should be installed within the next few months hopefully. I got 8 quotes, including the 3 you sent me. I selected EnergySA because I was impressed by the manager Robby's readiness to spend any amount of time discussing/explaining any aspects of the issue, as well as his seriousness and personal committment to meet our needs. We have a tricky roof situation and wanted to have the most efficient distribution of panels. He initially gave us a proposal, but through our discussions, changed the system (from string to individually optimised panels) the panels (to Qcells) the inverter (to Solar Edge).Robby took his ladder and went on the roof to measure exactly whether the distribution of panels on 3 sides would work. In a sense the project became a joint collaboration. 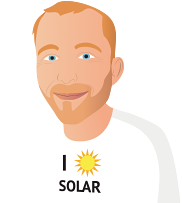 Being qualified and CEC accredited electrician, he gave me the impression of a person with a passion for solar power rather than merely a salesman. His team were also very competent, efficient, thorough, friendly and happy to answer in detail everyone of my questions. Hardly a couple of hours after the end of the installation Robby rang me and offered to have a look at the finished job, and then came around, took his ladder and was again on the roof inspecting the finished job. Everything went smoothly and efficiently. Three days after the installation we had a hailstorm with hailstones the size of chicken's eggs. My wife's car had her back window smashed and roof pockmarked with hail impact. I worried about the newly installed panels. At the end of the storm, the monitoring panel showed all panels to be working at optimal capacity, as they have now for the last week since. The price was very competitive compared to equivalent quotes, about $1000 less than a quote with also a Solar Edge inverter, but with Sunpower panels, and also $1000 less than an equivalent quote withan EnPhase system. At this stage I can recommend EnergySA without reservations. I still keep my fingers crossed that we don't get too many hailstorms like last week though! One of only two companies (out of 6 companies that I requested quotes from) that actually came to site to ensure the quote was accurate and there were no issues. They could answer any technical questions I asked. Also they didn't overdo the sales pitch or try to impress me with jargon as other companies did, that I knew from my own research, was either misleading or incorrect. Their first quote was very competitive and they didn't try the old "let me ring the boss to see if we can do a better deal". The sale person gave me 5 different options on panel brands and inverters which I took the time to look over and picked the best to suit my needs. Install was on time and found the workers pleasant, knowledgeable, tidy and they did a great job. Early indication looks good on system performance.